The Rainbow Refugee Assistance Program is a pilot project established by Citizenship and Immigration Canada to make a contribution toward the cost of sponsoring overseas lesbian, gay, bisexual, transgender, transsexual and intersex (LGBTI) refugees to Canada. The project is set to expire at the end of March 2015 and we fear that the end of this funding will seriously undermine the progress made in increasing the private resettlement of LGBTI refugees. We are asking the government to permanently renew this ground-breaking and beneficial project. Though the Rainbow Refugee Assistance Program is just a fraction of all the other Refugee Assistance Program funding administered by the government, it has made a tremendous difference in spurring a new refugee sponsorship sector. The federal funding offers important income support for three months, some settlement funds and basic furniture for the refugees, while the remaining financial costs and social support are borne by the sponsoring group. Some of the other lesser-known aspects of the program are also extremely vital to LGBTI refugee resettlement, like the ability to sponsor from any visa post and for applications to be considered in addition to the quotas imposed on Sponsorship Agreement Holders. Since many of the SAHs are faith-based groups, the fact that supporting LGBTI refugees will not undermine other priorities is very important. The pilot project has helped boost the number of sexual minority refugees coming to Canada through private sponsorships, and has encouraged local LGBTI groups to get involved in meeting the orientation, accommodation, and other basic needs of refugees. To date, the funding has assisted 25 refugees fleeing persecution based on sexual orientation and gender identity. Because of this funding, they have been able to resettle in Canada. Here in Halifax, we have assisted three people and we have two more refugees who will soon arrive. To fully appreciate how important the Rainbow Refugee Assistance Program is for LGBTI resettlement, it is worth reviewing the tremendous challenges facing groups in this sector. It has taken considerable time for this new sector to get organized as it is a new focus for many of Canada’s LGBTI communities. Upon formation, LGBTI resettlement groups were then required to recruit members and engage in fundraising. Moreover, they had to find a SAH with which to partner. This was particularly challenging as program details were not available to SAHs and some of the faith-based groups were not willing to work with LGBTI communities, for a variety of reasons ranging from their limited quotas numbers to unease with sexual minority refugees. If successful in these first steps, then groups were confronted with the complex nature of finding a refugee to sponsor and pulling together an application for resettlement. In addition, the extremely long wait times of the SAH and Group of Five processes have been an additional challenge. Essentially, many LGBTI refugee resettlement groups are just now getting going and it would be unfortunate if their enthusiasm and willingness to make a difference is diminished by the loss of the federal funding. 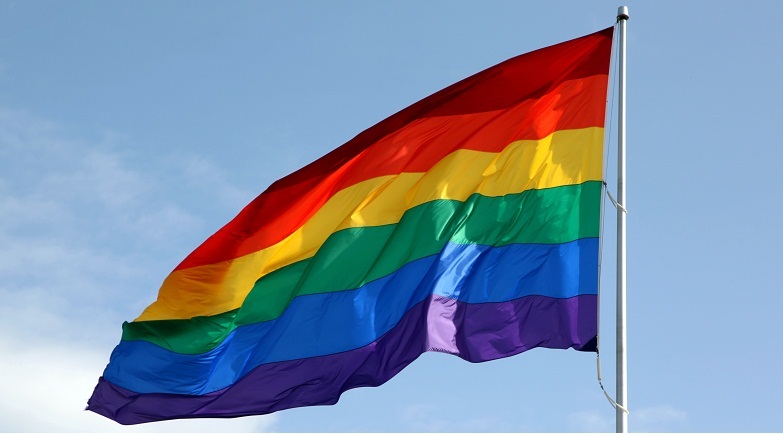 The Canadian government has taken a leadership role in the resettlement of LGBTI refugees. The fact that Canada accepts lesbian and gay refugees sends an important signal to the many countries that continue to persecute and discriminate against sexual minorities. It is also true that LGBTI Canadians are increasingly connected to the world and concerned about the rights of sexual minorities at the international level. We strongly believe that permanently renewing the Rainbow Refugee Assistance Program would ensure that we do not lose the richness of both the federal and community response to the resettlement needs of sexual minority refugees. Please sign the petition below…. via Petition · Keep the Rainbow Refugee Assistance Program · Change.org.